Walnut Creek has exceptional balance: open space, residential areas, an active business and commercial community, parks, entertainment and recreation. Residents and visitors can take advantage of the city’s many amenities, including a wide choice of trails for jogging, biking, hiking and horses. The city trolley, fashioned after a traditional cable car, offers free rides through town and can deliver visitors from the BART station to downtown in minutes. Once there, shoppers can choose from numerous boutiques and department stores and diners can enjoy world-class restaurants. Walnut Creek has a long standing commitment to open space. In fact, the city’s 2,500 acres of open space is the most per capita for any suburban community in the United States. Walnut Creek’s balance of beautiful natural areas, thriving commercial districts and cozy neighborhoods make it a great place to call home. 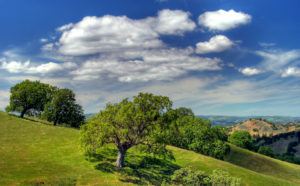 Livability.com rated Walnut Creek as one of the best cities in the country to live. Read that article here. Walnut Creek was rated one of the 10 best cities for foodies. Read that article here.